An elegant flat fronted London family house in good decorative order, arranged over three floors and with lovely light rooms. Available from 1st June 2016 unfurnished and in a convenient and quiet position minutes from Hammersmith Broadway - ideal for a family thinking about the good local primary schools - or proximity to the top rated independent schools close by. Overstone Road is a popular Brackenbury street running between Adie Road and Glenthorne Road, to the east of Ravenscourt Park and within the catchments of excellent local primary schools including Brackenbury School and the West London Free Schools. It is close to the further shopping and transport facilities of Westfield. 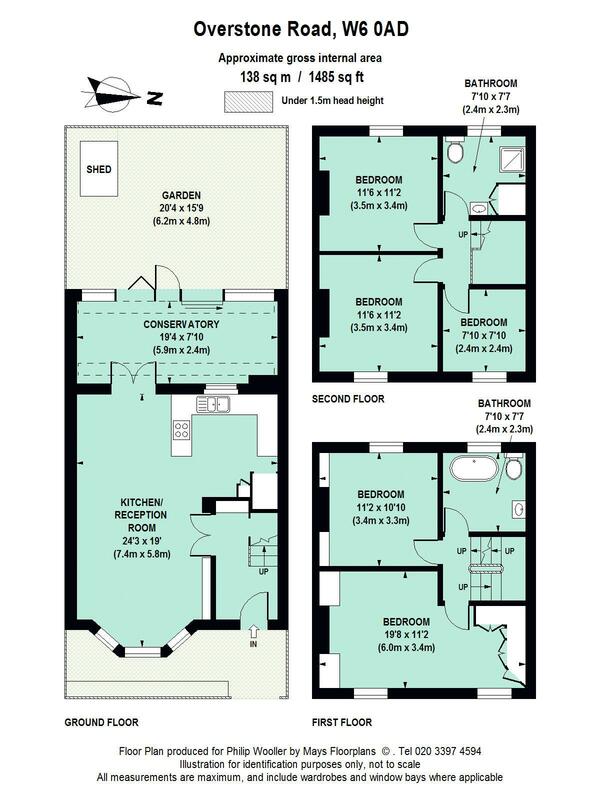 1485 sq ft / 138 sq m approx.